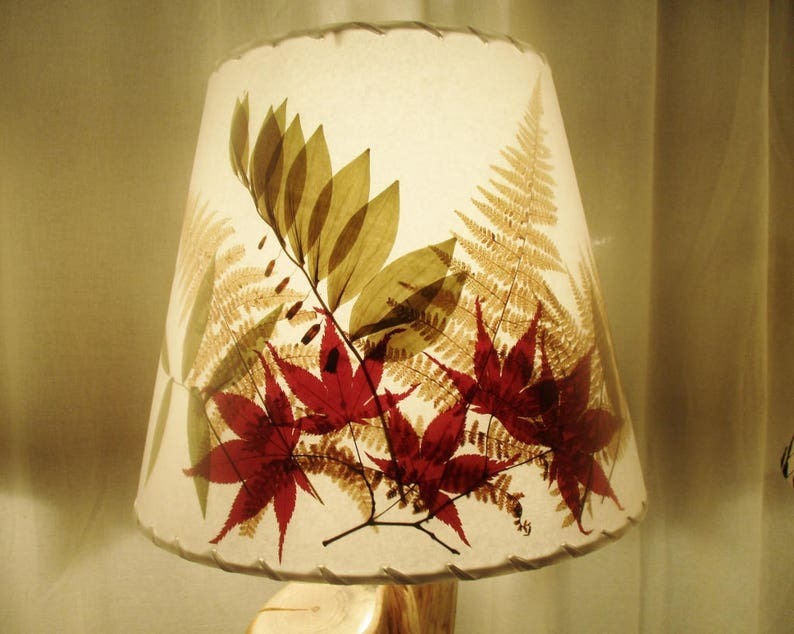 Real pressed ferns, leaves and woodland plants are layered inside this rustic Botanical Lampshade, and come alive with color when the lamp is turned on. This shade can be made in other sizes and shapes. Your shade will look different as natural materials can not be copied exactly, but the design and colors will be similar. Golden fall ferns, green woodland foliage and red Japanese maple leaves are protected beneath a polycarbonate film so this shade is easily cleaned with a damp cloth for years of use. Two different sizes of shades are shown in the photos; the drum shade is a 8x12x10, and the coolie shade measures 5" across the top, 14" across the bottom, and 8" tall. It is fitted with hardware for a glass chimney, but is also available with a clip top, washer top, or bridge top. This shade can be made in other sizes, please see the drop down list. If the size you need is not on the list, please message me with the size you need and I will make you a listing for a custom size. The coolie shade is shown with an electrified vintage oil lamp that is not included. 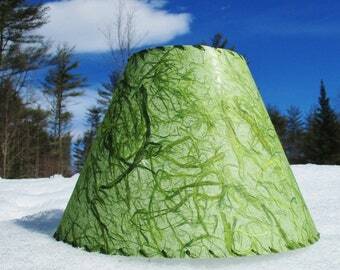 The drum shade is shown with a log base that is available - please message me if you want a log base. Lampshades can not be returned so please ask questions, check your lamp size and hardware, read my policies, and make sure it will work for you. No rush or express orders without prior conversation. Just opened the box to reveal this Beautiful lamp shade. I am a repeat customer because of the quality and unique qualities of workmanship. Thanks again for sharing your talents. 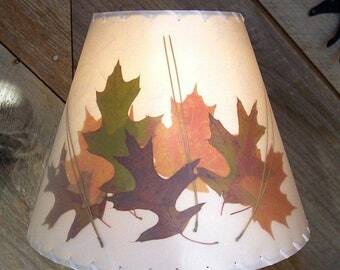 Beautifully made custom lampshade! I love it, perfect! So pleased how this came out. I highly recommend!! Just lovely! A work of art that really elevated our cute, hand-me-down lamp. Thanks Jennifer!